Getting in a shooting routine with scheduled photo assignments. If you have camera, any camera — if you are reading this site you probably do — you know how hard finding inspiration to take pictures can get. This is especially true if you are a little more dedicated to photo taking than the casual shooter. If you have a few bucks to spend and are looking for new ways to get your motivation going, you can give the iPhotography and Photography Assignment Generator a go. These apps are intended as databases of photo assignments, ranging from exploring photography genres as portraiture, landscape, and macro, to trying various camera settings and creative techniques. The apps are directed not only at iPhone shooters but also at anybody else with an interest in photography. Noel Chenier, the author of this project, is a photographer with experience as an instructor and is currently giving online courses in photography via his website, learnphoto.ca. All Photography Assignment Generators do exactly what their name states: they provide users with photo tasks which they can manually select from a list ordered into several different categories; if they like a bit of thrill, they can let the app pick a theme for them at random. There are more than one hundred assignments available, each including reference images. Users can set a reminder if they wish to shoot on a daily basis — this little feature will especially prove beneficial for the lazy or absent-minded camera lovers out there who need to stay on track with a photo challenge or who are looking for aid with systematic practice. The iPhotography app comes with brief extra sections specifically conceived for users of apps such as Instagram and Camera+. Personally, I like the idea behind the generators, but I feel that given the way they are structured, more in-depth tips would take the apps’ usefulness a step further. Also, as stated above, there are many sample photos that come with the assignments, but none includes precise reference settings to help beginners understand how the specific effect shown in the sample can be achieved with their camera — some category includes general settings covering a range of possibilities that may or may not be related to the sample images. Overall, the iPhotography and Photography Assignment Generator can be of interest for shooters wishing to get out of their comfort zone and to approach styles and subjects they are not yet familiar with. Some will object that similar resources are readily available for free on the web. This is certainly true; however these apps do not necessarily come as a collection of tutorials or as photography how-to guides, but rather as motivational instruments to grab the camera and take photos. As such, they are suited both to people that are still newbies and willing to practice and to those that are already experienced enough to know their cameras in and out but are looking for new ideas and for a routine to follow. Is this worth the price, however small? This ultimately depends on your personal views and requirements. 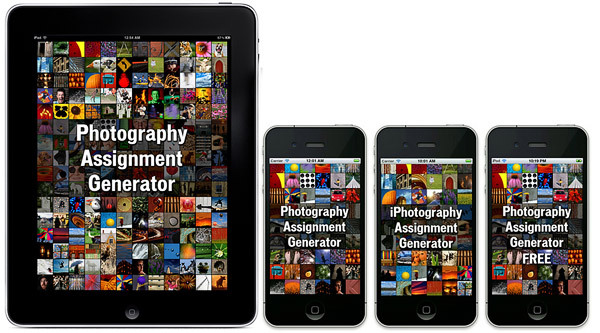 All the apps in the Photography Assignment Generator series are available in the App Store. The iPhotography app is $0.99, while the full fledged Photography Assignment Generator is $2.99. If you want to try before you buy, you can download a free version of the Photography Assignment Generator here. 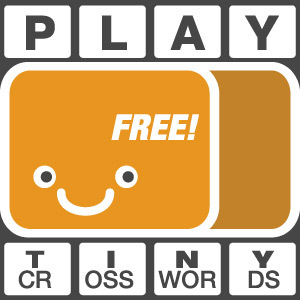 If you are an iPad user, you should try the iPad version instead (also coming with a free demo to try out).